Shower the baby with well wishes. 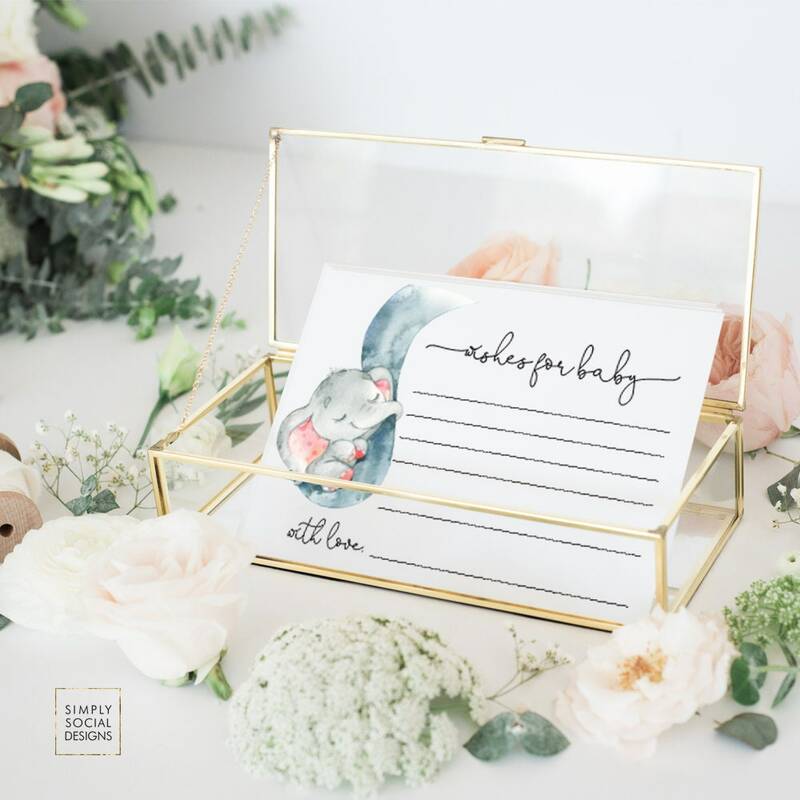 Your guests will love filling in these pretty ELEPHANT WISHES cards. Makes a great keepsake for years to come! This listing is not for printed cards...you will receive a high resolution single sided pdf file with 4 - 5x3.5" cards per page. Nothing will be physically shipped.